Paul Murphy is to take over as Welsh secretary from Peter Hain, who quit after his deputy leadership campaign donations were referred to the police. Mr Murphy, 59, the MP for Torfaen, will return to the position he held for three years after the Welsh assembly was established in 1999. 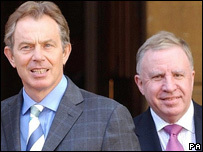 He has also served both as Northern Ireland secretary and as junior minister in the province. Mr Murphy said he was looking forward to the "challenges" of his new post. He said the position of Welsh secretary was "very dear to my heart as a Welsh MP" and there was a "very big job to be done". Mr Murphy acknowledged the role has changed since he last held the post with the introduction of the Government of Wales act, but he said he was looking forward to it. "My main job will be secretary of state for Wales and oversee the development of the relationships between the government in the UK and the assembly government in Cardiff. "Having done the job before and been in politics for 40 years I know quite a lot of people and the sort of challenges for the future." Mr Murphy, who acknowledges he has never been an "enthusiast" of devolution, was against last summer's One Wales agreement which led to the coalition assembly government, but he said that would not get in way of his new job. "I think there is a very strong case for a closer and better working relationship between Cardiff and Westminster and I am looking forward to working in partnership. "In terms of my views on devolution over the years, it didn't stop me last time I was secretary for state - it went very smoothly in the early years to where we are now," he added. 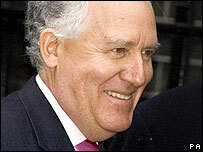 Mr Murphy also paid tribute to his predecessor, saying Mr Hain was an "honest and decent man". First Minister Rhodri Morgan welcomed Mr Murphy back to the post. He said: "There will be no learning curve with Paul as he knows all the issues and will be able to pick up the reins very quickly. "I expect this to be a very fruitful period in Westminster/Wales relations." 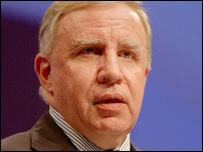 According to the Wales Office, Mr Murphy, who stepped down from the frontbenches in 2005, will be a fully paid-up Cabinet minister. He will be a full-time Welsh secretary but will also chair a new cross-departmental committee on IT and information security, and the committee on local government and the regions. Deputy First Minister Ieuan Wyn Jones also welcomed Mr Murphy's appointment. The Plaid Cymru leader said he was looking forward to working closely with Mr Murphy on the Welsh Assembly Government's attempts to gain greater powers and also delivering the priorities included in the coalition agreement. Welsh Liberal Democrat spokesman Roger Williams MP welcomed the appointment but questioned whether a "devo-sceptic" was the right person to "take devolution forward". Conservative MP for Monmouth David Davie, said Mr Murphy's appointment was "sensible". Mr Davies said: "Paul Murphy is clearly a very experienced member of parliament and whilst I and my colleagues will disagree with his policies and his government's policies and will certainly take him to task for that, he's a man who is, I think I probably can say, is widely respected on all sides of the House of Commons." Mr Hain has been replaced in his other cabinet role as work and pensions secretary by James Purnell.